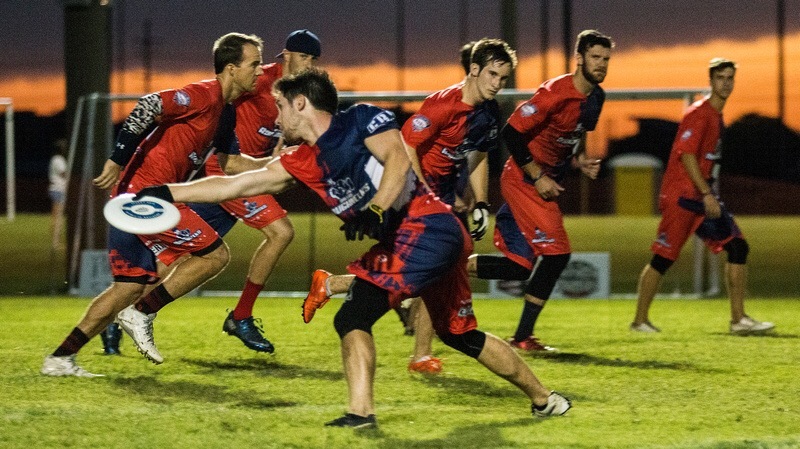 The largest crowd in AUDL history (3,000) witnessed the Seattle Cascades cling to a one-point lead to snap Madison’s 31-game home winning streak. With nine seconds left, the Radicals’ Kevin Brown hucked the disc to Kevin Pettit-Scantling in the end zone into a crowd of Seattle defenders. The disc was knocked to the ground as time expired. The Roughnecks dominated the Rush like they have all their opponents this season as they jumped out to a fast start to an early lead and never looked back. Outstanding play from Kurt Gibson and Chris Mazur kept the pressure on for Dallas. Toronto was unable to dig out of the early hole. Dallas finished the first half when Dallas Smith connected with Dillon Larberg to give the Roughnecks a 14-8 lead at the break. Dallas now faces Seattle today at 1 p.m. EST for the championship.